- the homepage! 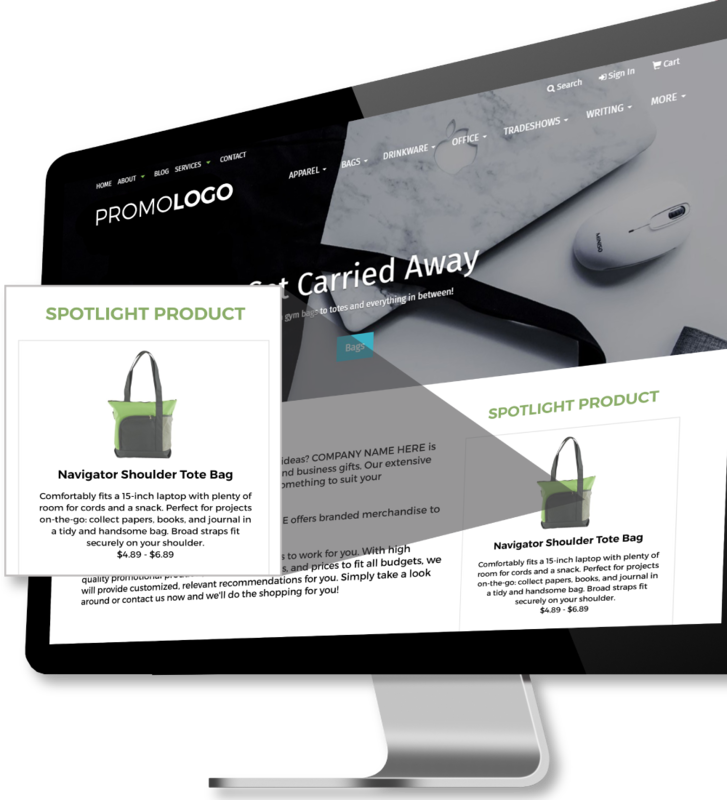 Your spotlight product will stand out on SAGE Websites and give end-users fresh inspiration for their promotional needs. This coveted product spot is viewed on average of 300 times per day. We pull your product information and image directly from the SAGE database, so you don't have to worry about creating an ad! 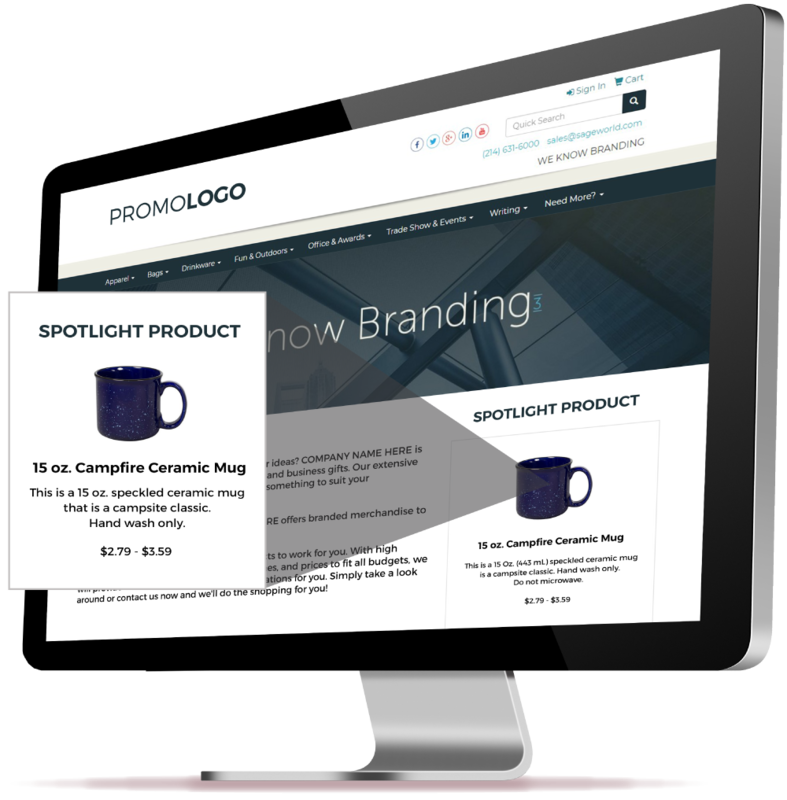 You'll only pay when your spotlight product is viewed! So you can set your budget (max spend per month). With the SAGE Supplier Center, you can change products or budget on your own quickly and easily. If you are a SAGE Advantage Member and would like to reserve your Distributor Website Spotlight Product, log into the SAGE Supplier Center to get started. If you have any questions, fee free to contact us.